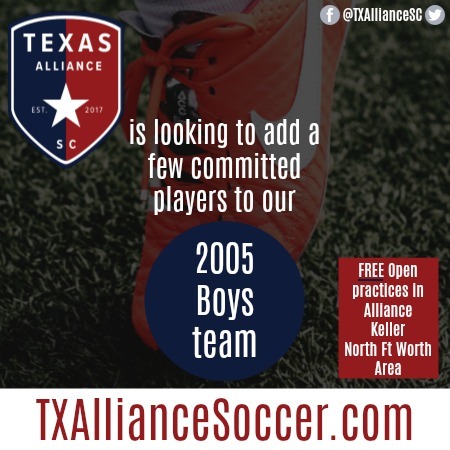 Our 2005 Boys team is looking to add to their roster for the upcoming year. Tuesday, July 3rd, at 6:00 is their next try out practice at Timber Creek High School grass soccer fields. The fields can be accessed at the corner gate entrance across from Caprock Elementary School. If you have questions about us or our coaches you can check out our website or follow us online. We hope to see you out at the fields!